Hello, I hope you had a great October! Memphis and Shelby County home sales prices continue climbing to new heights. Average home sales prices increased 13% in October, resulting in an 11% increase in total home sales volume from last October. Despite rising prices, the total number of units sold in October was down slightly with 1,474 sales recorded for the month compared to 1,501 last year. Through the first ten months of this year, the number of home sales recorded are up 9%, average home sales prices are up 5%, and total home sales revenue is up 14% from the same period in 2016. A historic Midtown home took the top spot in this week’s home sales roundup. The No. 1 home — known as Clanlo Hall — is the oldest home on Central Avenue, according to the Memphis Public Libraries’ archive. Located at 1616 Central Ave. in ZIP 38104, it was built in 1853. The historic home sold for $800,000 and has five bedrooms and four bathrooms in 6,800 square feet. 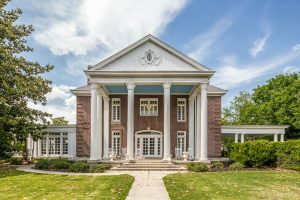 Memphis and Shelby County home sales are sizzling this summer as total home sales continue to rise.